Can you manage our property? Bear Lake Lodging is always looking to partner with new and existing property owners. What does Bear Lake Lodging provide? As the only locally owned and operated company in the Bear Lake Valley, we are always innovating and changing how we do business to fit the needs of both our customers and owners. When you win, we win. What does Bear Lake Lodging charge for their services? In providing all of the above amenities we charge a fee of 40% of the rents collected. This means that we only make money if we make you money. 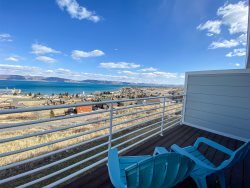 Our web site has been attracting customers for 16 years now and brings in more rentals to Bear Lake than many national sites. Therefore, you make money without the hassle of managing a rental property. Excellent customer service! Professional management with more than 20 years of experience. Services to help your succeed and increase your revenue. We spend thousands of dollars a year advertising, which is part of our management commission.